Denmark Lawn’s fertilization and weed control services have evolved considerably over the last decade. Our core “weed and feed” program remains one of our most popular lawn care services, but in addition to eradicating common weeds like dandelions and clover, we can take care of more complicated grassy weeds such as nutsedge and poa annua. Denmark Lawn also offers weed control for your landscaping and ornamental beds. 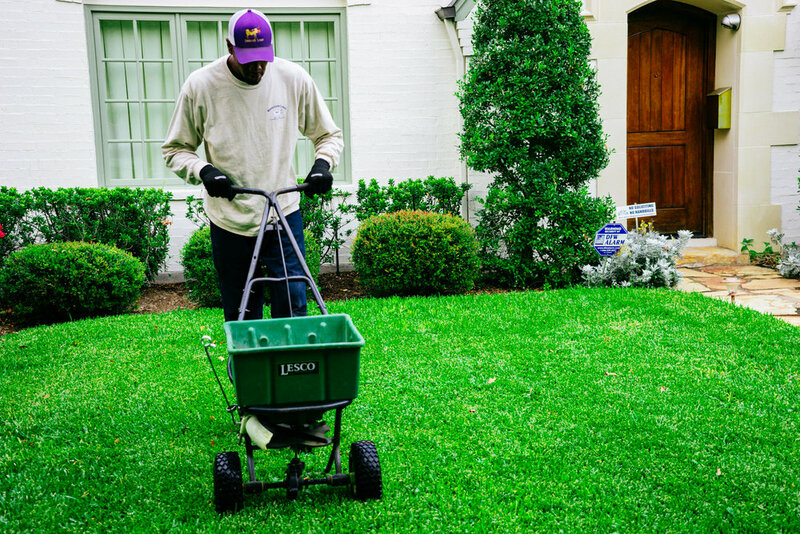 Our attention to detail is what sets us apart from other Fort Worth lawn maintenance companies. Our lawn and landscape professionals will ensure your lawn is lush and green. Click below to get a free lawn check-up and estimate. We know that a program for lawn fertilization and weed control that works in one Ft. Worth neighborhood area may not be right for another. Therefore, we tailor our fertilization and weed prevention services to the conditions in your area. Count on Denmark Lawn to deliver personalized and effective fertilization and weed control services for your lawn!